Which Island To Choose When Visiting Hawaii For The First Time? Hawaii is the 50th state in the United States and is made up of eight islands; Oahu, Hawaii, Maui, Kauai, Molokai, Niihau, Lanai and Kahoolawe. First time visitors to Hawaii usually choose Oahu, Maui, Kauai and Hawaii as they are the most accessible. Each has it’s own unique appeal and visitors will need to pick the one that suits them best. OAHU – The Gathering Place – Oahu is my favourite island and is home to the world famous Waikiki Beach. By far the most visited of the islands, Oahu attracts 4.7 million people to her shores every year. 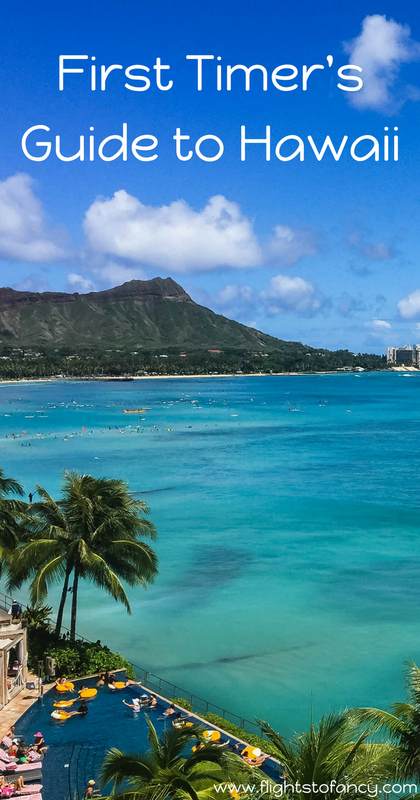 Oahu offers a little bit of everything Hawaii has to offer and is a shoppers paradise for Aussies (especially when the exchange rate is favourable). MAUI – The Valley Isle – Maui is the second most visited island with about 2.5 million people per year making their way to Hawaii’s second largest island. Maui’s beaches are considered some of the best in Hawaii while the interior is dominated by two volcanoes. While Maui has a reputation as the playground of the rich and famous there are numerous option for those that don’t have millions to splash around. KAUAI – The Garden Isle – With only 1.2 million visitors per year Kauai is perfect to escape the crowds. Blessed with stunning beaches, Kauai has amazing hiking and a more laid back vibe. Poiu, Lauai and Kape are all popular places to stay. HAWAII – The Big Island – Hawaii is home to the still active volcano Kilauea. The Volcanoes National Park let’s you get up close and personal with Kilauea and you have a good chance of seeing lava. Hawaii also has two distinctly different beaches, black sand beach and green sand beach. Airports are located at Kona and Hilo. MOLOKAI – Molokai is perfect for outdoorsy types. Molokai is home to the world’s highest sea cliffs and also boasts the world’s longest continuous fringing reefs. Molokai retains a traditional Hawaiian feel with many residents preserving the Hawaiian culture. LANAI – Lanai is Hawaii’s smallest inhabited island but still offers plenty to visitors. Hike the interior, snorkel at Hulope Bay or just relax at the beautiful beaches. The choice is yours. NIIHAU – The Forbidden Island – This privately owned island maintains the traditions of the Hawaii of old. There is no technology, the 200 odd residents still mostly hunt and fish for their food and the primary language is Hawaiian. The flowers present on the other Hawaiian islands do not flourish on Niihau and the locals instead use shells to make their traditional lei’s. Niihau Helicopters offer half day tours to Niihau. KAHOOLAWEE – Hawaii’s smallest island is only 12 miles long and is completed deserted. Those that want to visit will need to obtain a special permit. Honolulu, Oahu (HNL) – Most international flights land at Honolulu International Airport and there are direct flights from Sydney, Vancouver, Osaka, Tokyo, Nagoya, American Samoa, Beiing, Shanghai, Guam, Marshall Islands, Auckland and Seoul. Domestic flights operate from San Francisco, Oakland, San Jose, Los Angeles, Atlanta, Dallas, Houston, Anchorage, Chicago, Denver, Las Vegas, Long Beach, New York, Phoenix, Portland, Sacramento. Salt Lake City, San Diego and Seattle. We always fly Jetstar to Honolulu from Sydney as they offer teh cheapest tickets around. Inter island flights from Kahului, Hilo, Molokai, Kapalua, Lihue, Kona and Lanai City. Kahului, Maui (OGG) – International flights from Vancouver only. 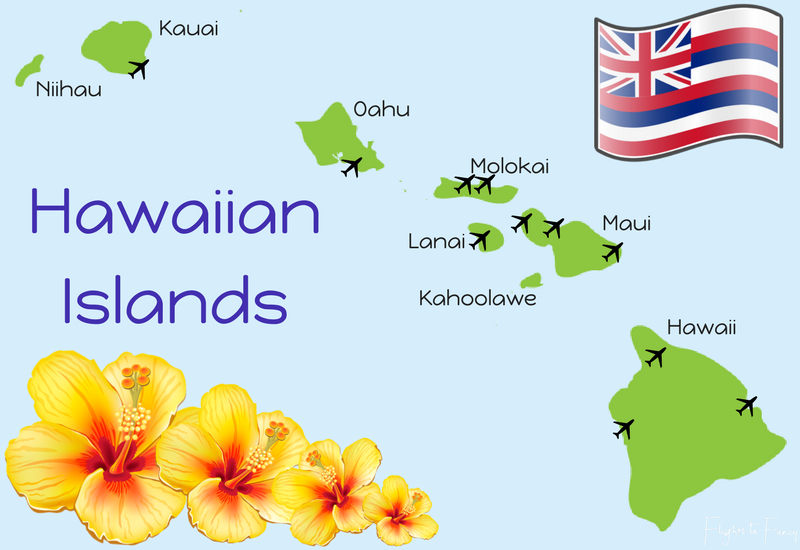 Domestic flights from Dallas, Denver, Los Angeles, Oakland, Phoenix, Portland, Sacramento, San Diego, San Francisco, San Jose and Seattle, Inter island flights from Honolulu, Hana, Hilo, Molokai (MKK), Kamuela, Lihue and Kona. Hana, Maui (HNM) – Only inter island flights from Kahului. Lahaina, Maui (JHM) – Only inter island flights from Honolulu, Molokai, and Kona. Hilo, Hawaii (ITO) – Domestic flights from Los Angeles. Inter island flights from Honolulu and Kahului. Kona, Hawaii (KOA) – International flights from Tokyo. Domestic flights from Denver, Los Angeles, Phoneix, San Diego, San Francisco, San Jose and Seattle. Inter island flights from Honolulu, Kahului, Kapalua and Lihue. Kamuela, Hawaii (MUE) – Inter island only flights from Kahului. Lihue, Kauai (LIH) – No International flights. Direct domestic flights from Denver, Los Angeles, Oakland, Phoenix, San Diego, San Francisco, San Jose and Seattle. Inter island flights from Honoulu, Kakului and Kona. Molokai Airport, Molokai (MKK) – Also known as Hoolehua and Kaunakakau. Inter island flights only from Honolulu, Kahului and Kapalua. Hawaii has a diverse climate covering many of the world’s climate zones. The climate is generally welcoming year round but does fluctuate depending on where you are. It is even possible to get snow at the tips of the peaks! If you are visiting Hawaii to shop, July and November offer some spectacular sales. Of course it is always wonderful to escape the Aussie winter for some sunshine and I typically visit between June and August. Make sure you check (and avoid!) the US school holidays when it can get quite crowded and makes getting accommodation at a reasonable price difficult. If you are visiting Hawaii on a tight budget aim for shoulder season where prices are a little lower. All non-US citizens will need a valid passport with at least 6 months validity and the appropriate Visa to enter. The US offers multiple Visa types and you need to apply through the US embassy in your country. 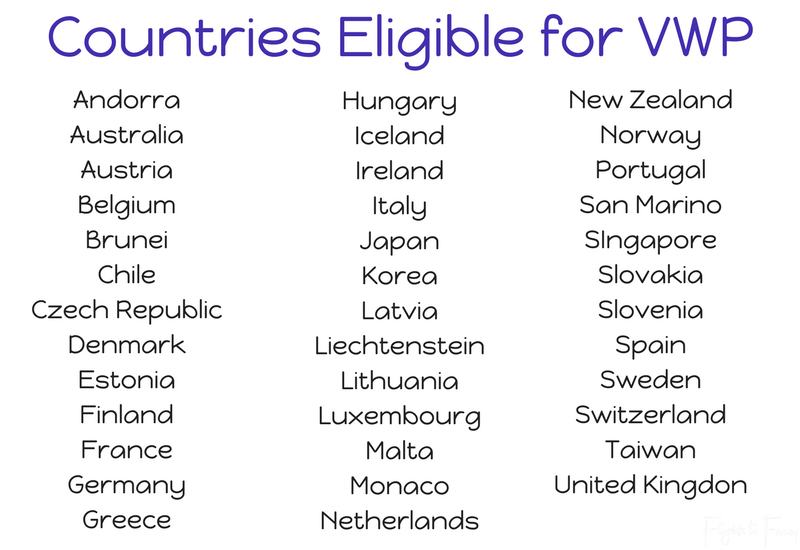 The Visa Waiver Program (VWP) allows citizens of 38 countries (see below) with an e-Passport to enter for up to 90 days without a visa. Travellers who choose to use the VWP must go online and complete an ESTA (Electronic System for Travel Authorization). An ESTA is not a visa and does not guarantee admission, it only authorises the holder to travel to the US border. Whether you are permitted to enter the US will be determined on arrival. Recently changes were introduced to the VWP program to exclude anyone who has visited Iran, Iraq, Sudan, Syria, Libya, Somalia or Yemen after March 2011. Dual citizens of Iran, Iraq, Sudan and Syria are also ineligible. There are a number of ESTA scams, where companies purport to be official pages and charge you a premium. Only apply through the official page and you will only pay USD$14 if your are approved for travel. If your ETSA is denied you will be charged a $4 processing fee. There are a number of prohibited and restricted items and others that you must declare when entering the USA. Make sure you don’t get caught out. 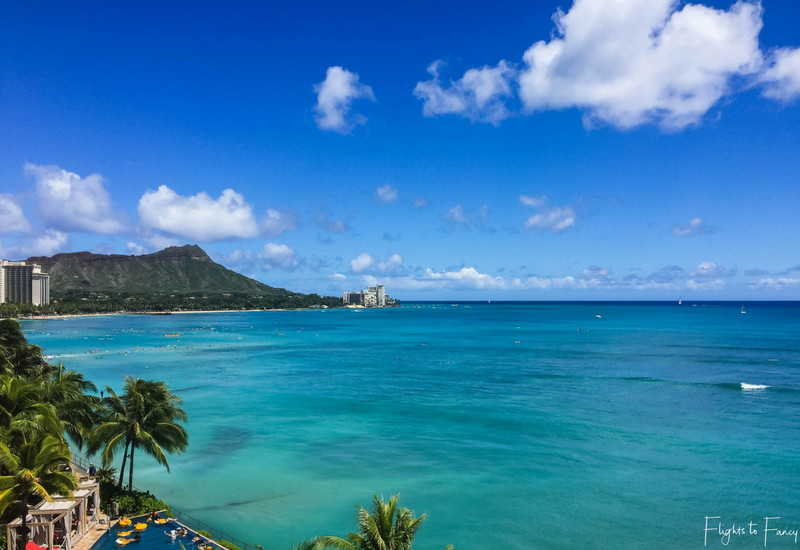 We typically stay in Waikiki as it is central and offers everything a first timer to Hawaii could want. We have stayed in many hotels over the years and love the Hilton Hawaiian Village and the Sheraton Waikiki but our budget doesn’t always stretch that far. When funds are tight we have stayed at the Ilikai and the Shoreline both of which are clean and comfortable without all the bells and whistles, but this trip we are trying something new. We tend to walk everywhere so location is a key consideration for us. 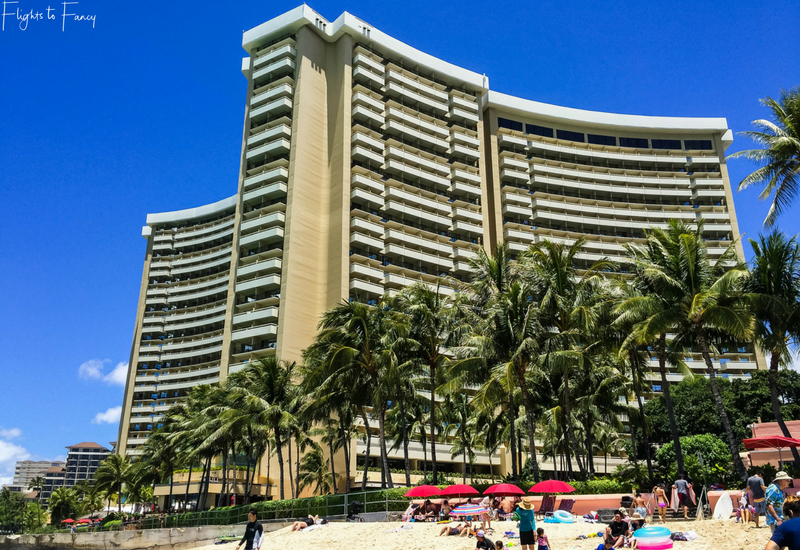 We prefer to be close to the beach and between the Waikiki strip and Ala Moana shopping centre, both of which we frequent. Check Expedia, Agoda and Hotels Combined to make a short list then head to Trip Advisor to see what other travelers are saying. Once you have decided and found the best price online approach the hotel direct and see if they can do any better. It never hurts to ask and the worst that can happen is they will say no! US Adaptor & Powerboard – We have a lot of appliances to charge! Samonsite Cosomlite Suitcases – 33inch and 28 inch. I pack them one inside the other on the way out and bring them both home full on the way back to save on luggage costs. Chocolate – American chocolate is pretty ordinary so if you really enjoy your chocolate bring it from home. A Trashy Novel (or three!) – Perfect for the plane or the beach. You don’t want war and peace here just some nice escapism. Swimmers – To visit Hawaii’s best beaches. I know this sounds like a strange thing to include in “Know Before You Go” but Aussie’s (or any other non US citizens) trust me on this. A couple of weeks before you plan on visiting Hawaii for the first time head to all the major US shopping sites and if there is anything you fancy take advantage of the free (or significantly reduced) shipping within the US and have it shipped to you hotel. If you time it right (like I always do) you should have some lovely surprises waiting for you at check in! Pin “First Time To Hawaii” for later! wow you visited Hawaii 10 times! Jealous! I went there for the first time 2 months ago and I felt in love! I lived in America before for 2 years and I cant believe I waited to visit those wonderful island till now when I live in Europe and the flights are ridiculous long! But its definitely worth it! Ive only been in Oahu and Maui but I am dreaming to go back and explore the other islands. You put here all necessary informations here, great post! LOL … it’s cool that chocolate made the list! But, these are all important practical things to know right? Exactly! US Chocolate is just awful! I think it’s awesome how so many people come to the US to shop. It’s a really great hub to get things for cheaper and reduced prices. You can probably get all the latest movies too since I know they come out so much later in Australia. Movies are not so bad anymore but that certainly used to be the case. When we used to get $1.04us for an Aussie dollar it was brilliant and everything was a bargain. Now we get .75c it’s a lot tougher to get a bargain ? This article is perfect to plan my trip to Hawaii! For how long do you recommend to stay around? Ten times in Hawaii, you are really like a local! Which island is your favorite? We almost went during our long US trip, but my travel buddy was more in for Chicago and Boston. I will always be sorry cuz of that.. I like Oahu best but Maui is also pretty. Haven’t been to Boston or Chicago. Maybe next time ?